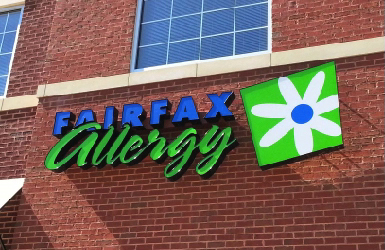 Welcome to the Fairfax Allergy, Asthma and Sinus Clinic, a full-service allergy and asthma care center specializing in advanced treatment of allergic and immunologic diseases. Our dedicated, friendly staff of physicians and medical professionals are well experienced in the diagnosis, treatment, and care of pediatric and adult patients with allergic diseases. Fairfax Allergy, Asthma and Sinus Clinic provides patients with the newest advances in medicine to better manage their diseases and improve their quality of life. Dr. Johnson named in Washingtonian Magazine "Top Doctors 2017." Guess who made the "Top Doctors" listing in the February edition of Washingtonian Magazine for the 6th year in a row! Dr. Johnson and staff are proud to share the news. This is a hot topic. Many school districts have implemented protocols for dealing with this important issue. Unfortunately, protocols vary widely between schools and school districts. The CDC has recently released new recommendations regarding managing food allergies in schools. More information is available here.